Traveling with or without your pet can be pretty stressful for any pet parent. If you’re anything like me, I ask myself: Should I take them with me? Where should I leave them if I don’t? Who should watch them while I’m away? Can they travel comfortably? We’ll discuss these topics in more detail below. Safety is the biggest concern when traveling with your pet. Depending on where you are going (across state lines or international borders), a health certificate may be required. Do your due diligence on the requirements including scheduling your appointment with the vet, based on your travel time frame. If you are traveling via airplane, be sure to consult with your vet about proper care. Dogs with snub-noses like pugs or bulldogs may struggle with the air pressure. While in the car, the dog should be restrained and never left unattended. Never leave pets alone in vehicles, even for a short time, regardless of the weather. As for restraint, a secure harness or carrier (crate) should be used and placed in the backseat, never in the bed of a truck or front seat. If not properly secured, a pet can become a projectile during an accident. Having them properly restrained will also prevent them from becoming a dangerous distraction during driving. From personal experience, there is nothing more terrifying than an 86 pound Coonhound putting the car in neutral while going 75 mph on the highway. As always, be sure to bring medical records and a first aid kit. You never know when you’ll need them. 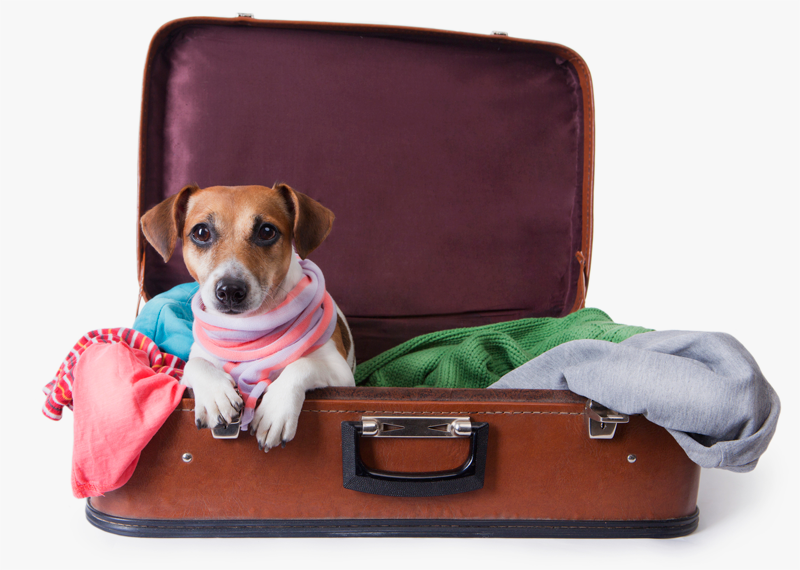 When looking for a reputable boarding facility or dog sitter, investigate thoroughly. When in doubt, feel free to check with people in your area for recommendations. Not every service is the same and not every person is knowledgeable in handling different breeds, temperaments, body language, and/or socialization level. I advise a visit to the location and meet with the staff. Ask questions. When selecting a boarding facility or dog sitter, make sure your pet is up-to-date on their vaccinations. Most will require the dog to be fully vaccinated including Bordetella (the vaccine for kennel cough). 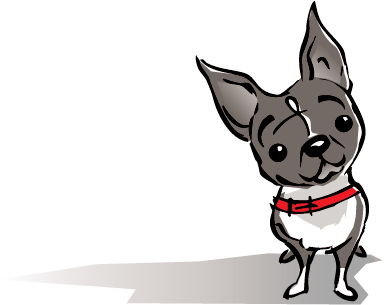 Ensure your pet has proper identification including identification tags and microchip. Consider having a recent photo of your pet or embroidering your phone number on your pet’s collar, in case the ID tag should fall off. This is a great option for those that prefer a quieter collar. Most importantly, consider microchipping you pet. For microchipping questions, speak with your veterinarian. If not available, there are plenty of low-cost microchipping services. Reach out to your local animal services or mobile vet clinics. Microchipped dogs have a much higher chance of being returned to their owner than those without. Microchips should have the most up-to-date information including current address and phone numbers. Update your contact information immediately, should you move. Don’t forget to pack your stretchy pants. Safe travels and Happy Holidays! Jessica Davis Milligan, CPDT-KA certified and top dog at Arfordable Dog Training, focusing on simplified knowledge, affordable pricing and practical training for families and their beloved dogs in San Antonio, TX and surrounding area.